Smile!... You've been to Costa Rica. Do you like going to the dentist? No, hold on, please don't shoot me yet, it's not sarcasm or a bad joke. I'll rephrase my question: would you like to take a vacation? Yes, a real one: relaxing on the beach, listening to the soothing sound of waves, or taking an adventurous hike to the volcano's crater... Does that sound better? Can I stop hiding? Now, let me try this: how would you like to have a great time vacationing in a tropical country and get some dental work done on the way back? Yes, it can be put into one sentence. You can - as 15,000 people have done it last year - go to Costa Rica, spend a week soaking in the thermal hot springs or zip-lining through the rain forest and come back home with a beautiful smile. And - now comes the best part - it still only costs between 30% and 50% of what you would pay your dentist at home. It does sound great, doesn't it? In fact, almost too great to be true, and likely still tempting enough to raise some more questions. So, I've called on the most skeptical part of myself and tried to imagine the questions the most Ms. Skeptical would likely ask. Then, for some time grilled quite a few doctors to answer these questions, and can now share their answers with you. Please find the imaginable Q&A session below. Ms. Skeptical: Yes, the price sounds immensely tempting, but I would also have to pay for air and the hotel while in Costa Rica, wouldn't I? Yes, you're right. However, we were talking about combining vacation and dental work in one trip. So, the additional expenses on top of your vacation budget would be only the hotel and food for the time necessary for your treatment - in most cases 2-3 days. Even with the travel expenses added, the price tag is way less than the same medical procedure at home. Ms. Skeptical: Maybe it's cheaper in Costa Rica because their doctors and equipment are not as good as in the US? You will not have to worry about the quality of the work done; most of the doctors are trained in the best American and European medical schools. 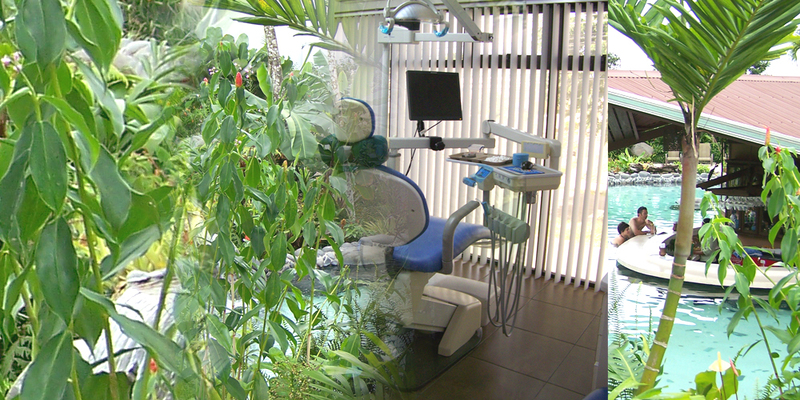 I've had a chance to visit a few dental clinics in Costa Rica - their equipment are the same or better than in dental offices in Philadelphia or Los Angeles. And all reputable clinics use the best materials available on the market. In fact, they are often imported from the US. For instance, only dental implants of reputed companies like Nobel Biocare, Straumann, Keystone Dental, Bicon, etc. are used. Ms. Skeptical: Don't they speak Spanish in Costa Rica? I'm afraid my limited vocabulary of "muchos gracias" and "dos cervezas, por favor" will not be enough. There are plenty of doctors in Costa Rica that are fluent in English. Especially if you'll choose a clinic that is experienced in dealing with foreign clients - they know what to do to make you feel comfortable. Ms. Skeptical: But complications do happen from time to time, even the best doctors would tell you that. What if something goes wrong? All doctors I've talked to have agreed, if something is not right, it'll be obvious within a week. So, that's where we'll come back to the vacation part that is - remember? - part of the trip. You might decide to go through the medical procedure first and then relax and recuperate for a week in the comfortable setting of the luxury beach or secluded jungle resort - whatever you prefer. Ms. Skeptical: I've heard about other countries where people are traveling to get the major dental procedure done. Does Costa Rica have any advantages? Where to go is very much the matter of personal choice. However, there are many features that make Costa Rica very attractive as the premier medical travel destination: convenience of the direct flights from major American airports, stable political climate, familiarity to Americans and variety of vacation experiences available just to name a few.